In yoshi's island, you play ash yoshi. Your goal is to reunite baby mario with his brother, luigi. You go through varies levels, platformer to victory. Eat your enemies to turn them into eggs and shoot the eggs. And uh, mario cries... Alot. Make sure he doesn't get adrift to long, as he may get kidnapped. 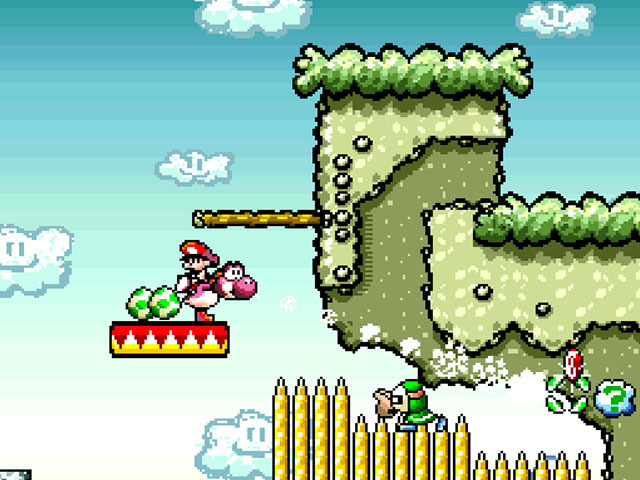 Super Mario World 2 - Yoshi's Island is a great platform game. You play as Yoshi and trying to get baby mario back to his parents. You must keep mario on your back and keep him from getting kidnapped by the koopas. You will be able to transform into different vehicles by hitting vehicle blocks. The levels are nice and detailed. There are also memorable tunes here, like the underground cave theme. You can get eggs and use them as your primary weapon. 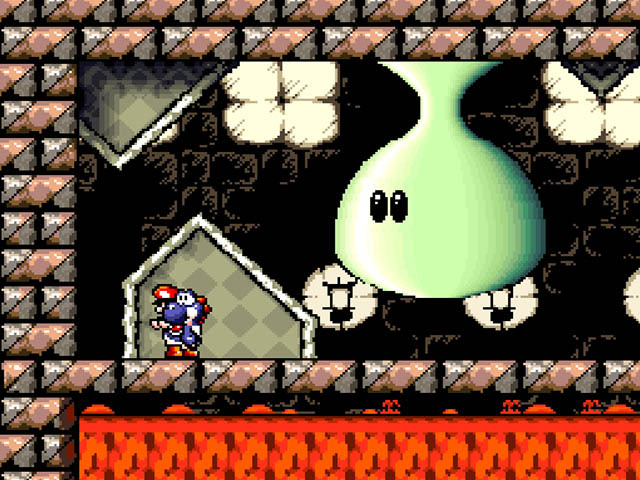 In each world there is a mini-boss and a main boss. Defeat the main boss to advance further. 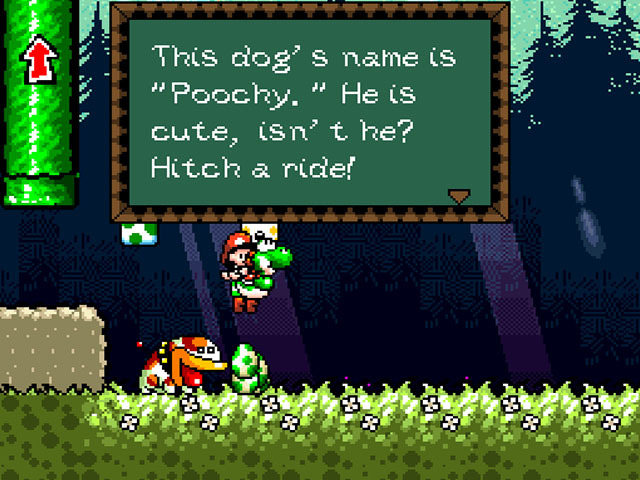 I'd reccommend Yoshi's Island to any mario fan. Out of all the snes games I have played, this is one of the few that really impressed me along with Super Mario Bros 3, Super Mario World, Donkey Kong Country Series, A Link to the Past, and Super Mario RPG. This game features the Yoshi's as you try to return Baby Mario back to his brother and defeat Kamek. Just about everything about this game is fantastic. 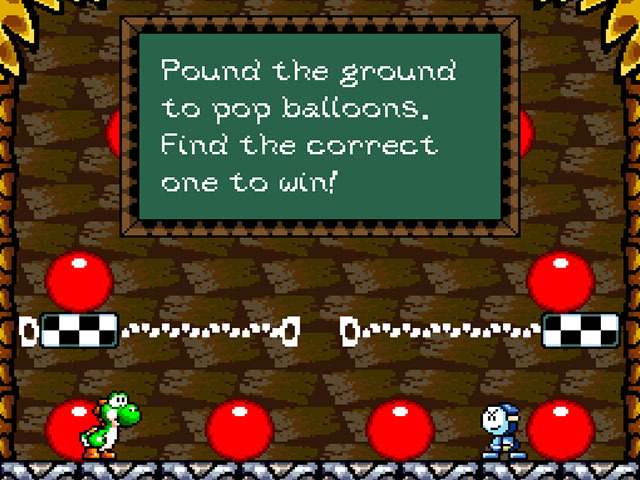 The gameplay is very praiseworthy giving you all of Yoshi's abilities such as the tongue, ground pound, flutter jump, and egg throwing and making. The content is also amazing giving you eight levels and eight worlds leaving for a lot of gameplay. Each level is so well made, you can tell a lot of effort went into them. The music is also nothing short of amazing. 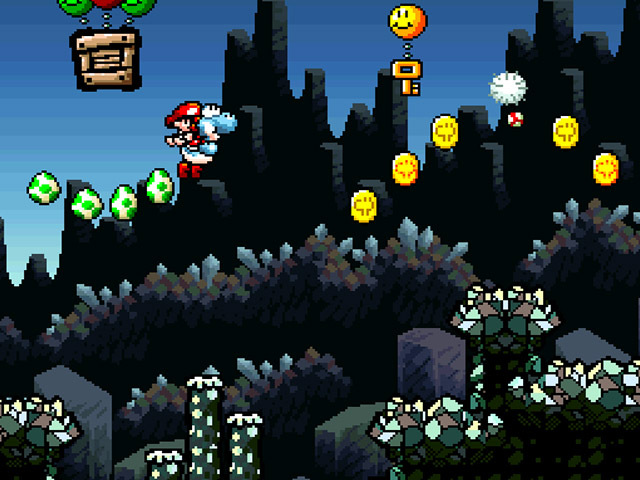 The catchy tunes are perfect to go along with the great levels. Overall, a great game and I suggest you play it now. I follow this site that a friend indicated for me. And I like só much because there are many games that I like and I can download here. I love Super Mario since my childhood. I played a lot. 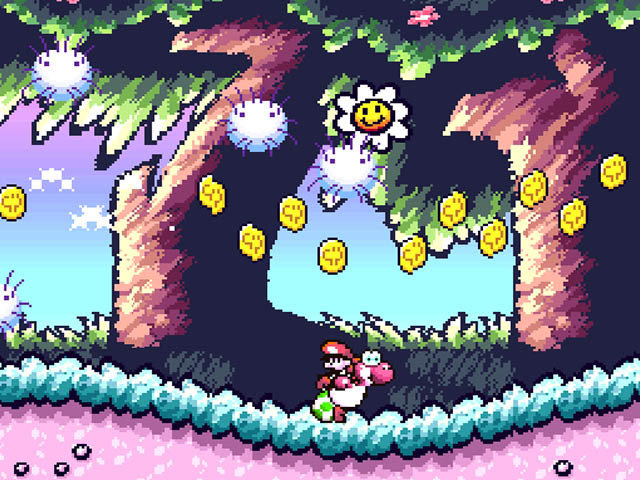 With the astounding success of Super Mario World, a Super Mario World 2 was invetible. However, not many people were expecting this. Yoshi's Island stars, of course, Yoshi - the lovable and popular riding dinosaur from SMW. Baby Mario and Baby Luigi have been separated, and the Yoshis have taken it upon themselves to reuinte the twins. Little do they know, Baby Bowser and his lackeys have nasty plans in store for the plumbers and their dino friends. The game certainly plays differently than the previous game. It's Yoshi's job to protect Mario. 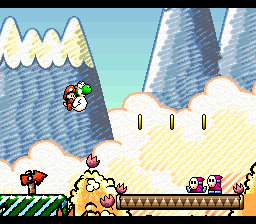 Instead of dying or losing health when hit by enemies, Baby Mario simply flies off Yoshi's back in a bubble and a countdown begins. If Yoshi doesn't get Mario back before the countdown ends, Bowser's minions kidnap poor Mario. The gameplay is so unique and varied. 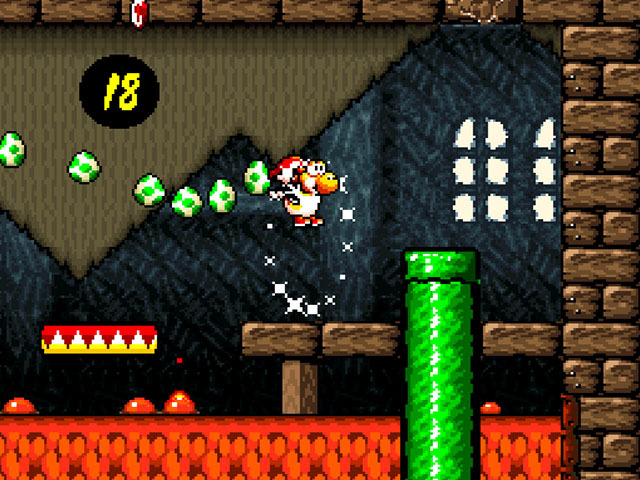 There's the typical running and jumping you'd expect in a Mario game, but you can also "shoot" eggs as projectiles to hit enemies or activate switches. 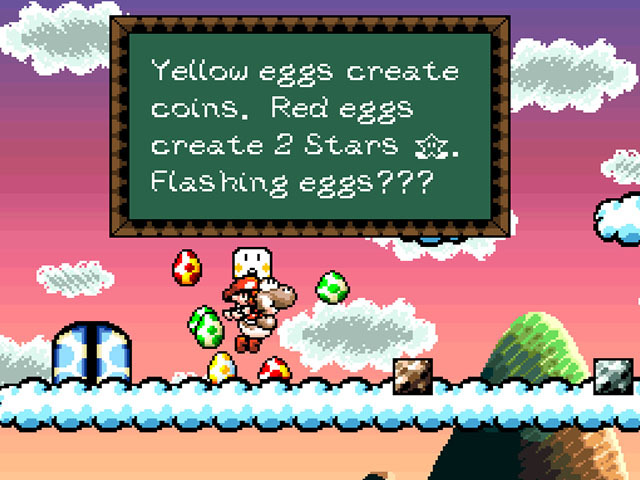 Many of the game's puzzles rely on skilled egg tossing. There are also plenty of secrets to be found in every level. 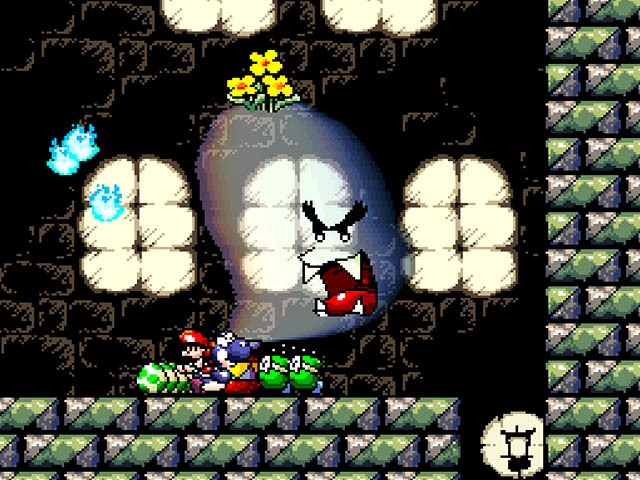 The levels are varied, and the bosses in each world are inventive and unique. The game has an especially charming atmosphere. The graphics look hand-drawn in crayon, and the soundtrack is bubbly and very catchy. It's pretty much a perfect game, so everyone should experience Yoshi's Island. Read all 9 reviews for Super Mario World 2 - Yoshi's Island (USA) Submit your description for this title! Now you can add videos, screenshots, or other images (cover scans, disc scans, etc.) for Super Mario World 2 - Yoshi's Island (USA) to Emuparadise. Do it now!